Dyeing dart frogs have a mating season spanning from mid-July to mid-September which is during the rainy season of the rain forest. 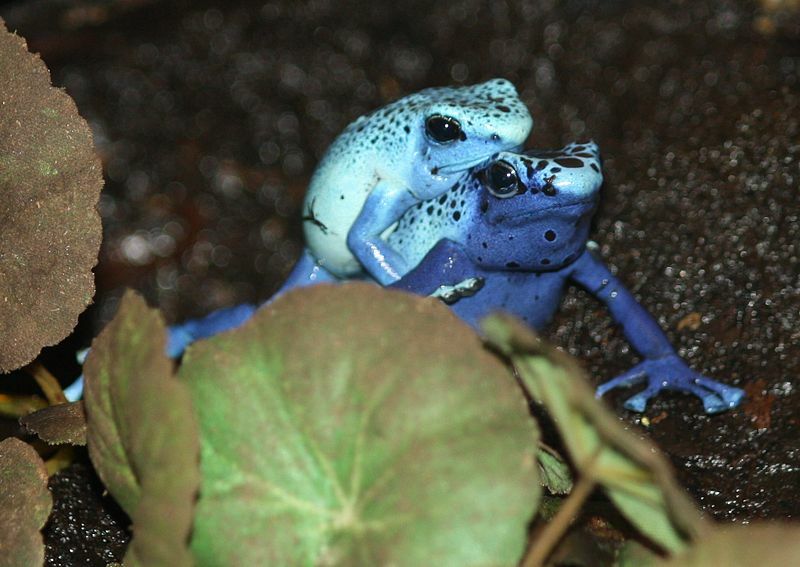 In anticipation for mating, male frogs will stake claims on mating territories and defend their claim by fighting other males. They will then let out a trilling noise which they use to attract females. The male from the parental pair then leaves the family, so to speak, while the female remains. 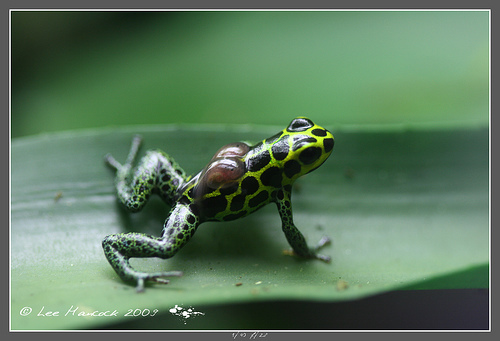 The female will return periodically to lay unfertilized eggs which serve as food for the growing tadpoles. 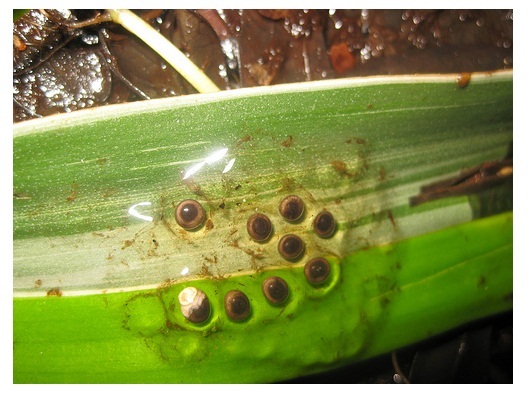 After a maturing period of about ten to twelve weeks the tadpoles undergo metamorphosis and develop into young froglets. The froglets are just as the adults, though sexually immature. From then on, the froglets will mature into young, sexually mature adults and begin to look for territories and mates of their own.